US Trade Rep. Lighthizer won’t commit to finishing agreement w/China in March. 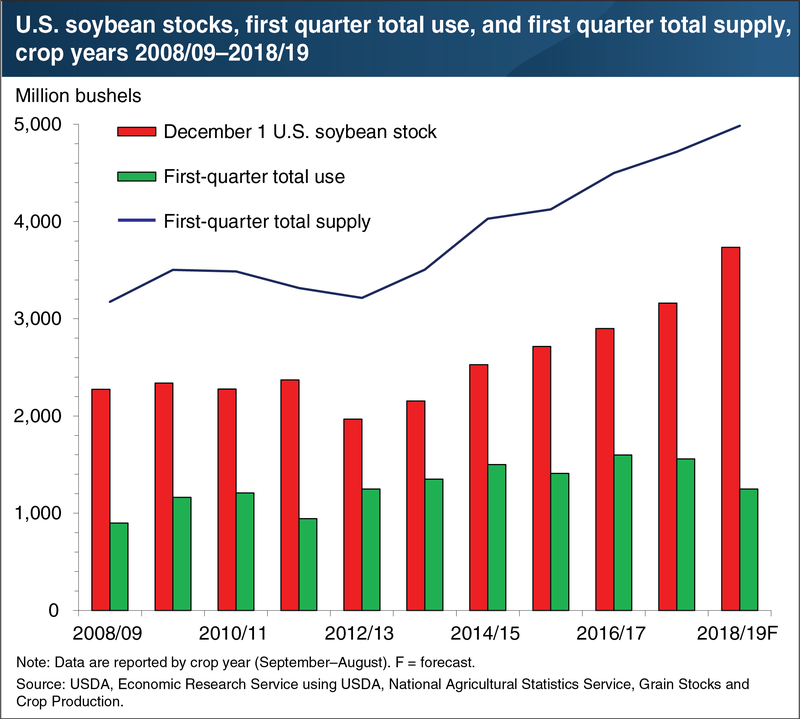 Mark Ash and Mariana Matias, Oil Crops Outlook, OCS-19c, U.S. Department of Agriculture, Economic Research Service, March 12, 2019. 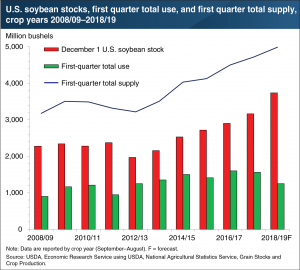 “USDA’s latest Grain Stocks report indicates that U.S. soybean stocks were at an all-time high of 3.736 billion bushels in December 2018 as the first-quarter of the 2018/19 crop year (September–August) ended…The deficit is primarily related to the steep decline in trade with China, despite a few recent sales to state-owned companies there.” (December U.S. soybean stocks climbed to a record high in 2018, USDA-ERS (March 14, 2019)). 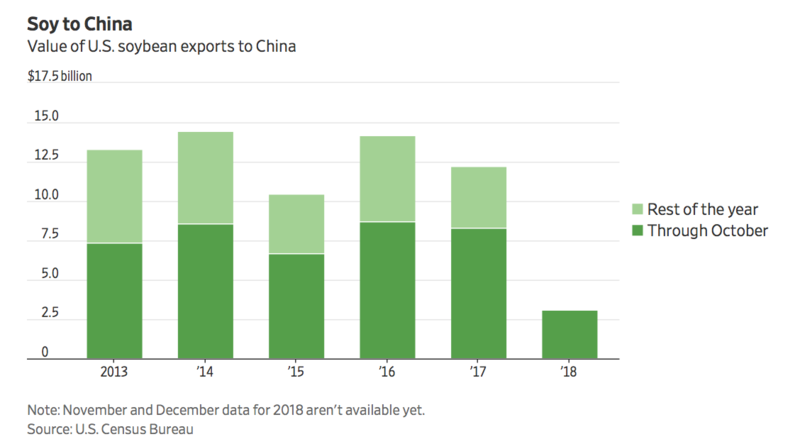 “From Midwest to Far East: How China Affects America’s Top Farm Export,” by Lucy Craymer. The Wall Street Journal (January 28, 2019). 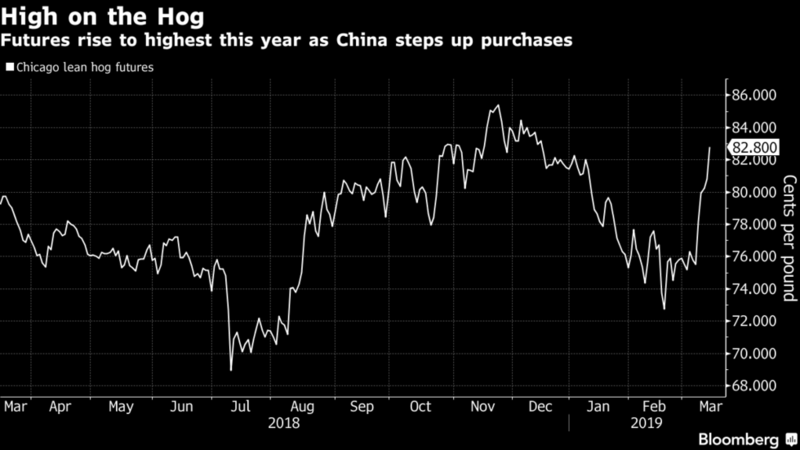 “China’s Hog Troubles Are a Boon for American Pork Producers,” by Michael Hirtzer. 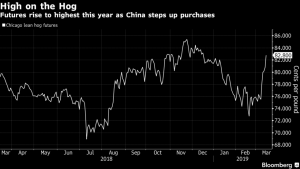 Bloomberg News (March 14, 2019).